The post Using Coconut Oil for a Dog’s Itchy Skin by Marybeth Bittel appeared first on Dogster. Copying over entire articles infringes on copyright laws. You may not be aware of it, but all of these articles were assigned, contracted and paid for, so they aren’t considered public domain. However, we appreciate that you like the article and would love it if you continued sharing just the first paragraph of an article, then linking out to the rest of the piece on Dogster.com. 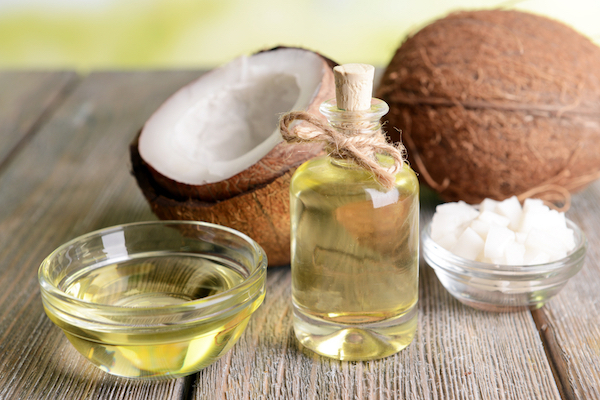 These days, most people have heard about the natural goodness of coconut oil. But up until a few years ago, I never realized I could use coconut oil for dogs, particularly that I could use coconut oil for a dog’s itchy skin. Sure, I knew plenty about the health advantages of products such as safflower and olive oils. But then coconut oil entered my life in a hugely helpful way, thanks to our rescue pup Maizy. Coconut oil for a dog’s itchy skin? Here’s how it works. Photography ©R.Tsubin | Getty Images. Due to her hound heritage, Maizy is what I like to call a serial sniffer. She dissects the dog parks every spring, following the scents of squirrels, rabbits, other canines, and who knows what else. Often, she gets so enthralled with this activity that she barely responds to her own name. One day, Maizy’s investigations led her straight into an overgrown thicket of weeds and wildflowers … and that led to an angry-looking rash along her ears and neck. The medication used to treat her skin left it overly dry, and I guess overly itchy as well. Because she scratched, and scratched, and scratched. After several sleep-deprived weeks of this prickly, pervasive problem — and after trying a series of medicated ointments and shampoos, to no avail — we finally visited a holistic vet. His suggestion for using coconut oil for a dog’s itchy skin surprised me. Treat this issue from the inside out, he said. That meant easing up on carbs and grains to minimize the yeast on Maizy’s skin. It also meant feeding her a serving of pure, virgin coconut oil every single day, and rubbing some onto her skin and fur. We tried this for a few weeks, and WOW. Not only did Maizy lose that yeasty, bag-o-Fritos “doggie” smell, her skin cleared up and her coat looked glossier than ever. Of course, the moment our other rescue pup, Grant, smelled the coconut oil, he wanted in on the action. So now they both reap coconut oil’s tasty benefits on a regular basis. Why coconut oil for dogs? And why coconut oil for a dog’s itchy skin? So, what are the benefits of coconut oil for dogs, and coconut oil for a dog’s itchy skin? According to integrative pet care expert Dr. Karen Becker, natural virgin coconut oil has antiviral, antibacterial, antimicrobial, and antiprotozoal properties. That means it can reduce yeast and fungus on contact, both inside and out; and it’s also very healing for irritated skin, hot spots, abrasions and cracked paws. The “virgin” variety typically starts with fresh coconut meat, so it’s not subjected to chemical processes such as bleaching or filtering. This makes it safe for dogs, cats, and humans to ingest in appropriate amounts. My vet cited Dr. Becker’s work, explaining that coconut oil is rich in a medium-chain fatty acid (MCFA) called lauric acid. This substance is most commonly found in the milk of mother mammals, and one of its primary functions is to boost the immune system. That’s why coconut oil is so effective at helping to clear up bacterial and viral infections. Like pumpkin, it can also soothe digestion and upset stomachs. And just as the vet predicted, it’s given both my dogs super-soft fur. 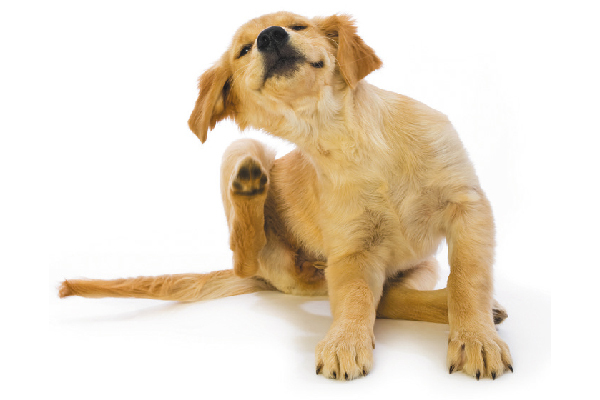 Now that we know that coconut oil could work to help a dog’s itchy skin, how do we give it to our dogs? Photography by Africa Studio / Shutterstock. It’s always smart to start small when feeding your pup anything new — especially coconut oil, which my own dogs would gobble up without proper supervision. At my house, we began with about ¼ teaspoon and increased gradually to ½ teaspoon per dog, once or twice per day. Drizzle a bit over your pup’s food, because coconut oil liquefies easily at room temperature. Mold a small blob around pills or tablets your pet might be otherwise tempted to refuse. Rub a little between your palms, run it over your pet’s fur, and brush lightly. Work the rest into your own hands for serious skin-softening benefits. Nutty Nuggets. Photography by Marybeth Bittel. 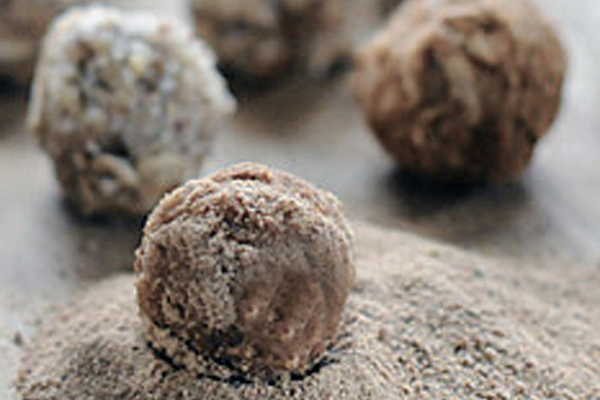 And here’s an easy recipe for a no-bake treat that’s a huge hit with Grant and Maizy because, naturally, it contains … coconut oil. You can refrigerate these yummy bites or freeze them and thaw as needed. They’re even safe for pet parents to sample. Ummm … not like I would know anything about that. Place coconut oil, peanut butter, pumpkin/applesauce, honey, vanilla and cinnamon into a large bowl. Stir until well-combined. Begin adding flour about ¼ cup at a time, stirring well after each addition. Keep adding until dough mixture is well-combined and pliable. If the mixture becomes too stiff to work with, add a little more pumpkin or applesauce. Spoon up the mixture in portions that are roughly the size of mini-meatballs. Shape these into a round or oblong pieces by rolling between your palms. If desired, finish by rolling each piece in dry, powdered peanut butter to coat. Arrange finished treats on a plate or pan lined with wax paper. Refrigerate for at least one full hour before serving. *A word of caution: Always check with your vet before feeding your pooch anything new. This is especially true if your dog already struggles with health issues such as kidney problems or pancreatitis. While natural and healthy, these Nutty Nuggets are high in fat and should be given as very occasional treats. They aren’t meant to replace your pet’s regular diet. Thumbnail: Photography by DAE Photo / Shutterstock. Neem Oil: A Miracle Herb for Dogs – and for You, Too!